Galway loves it’s sports. 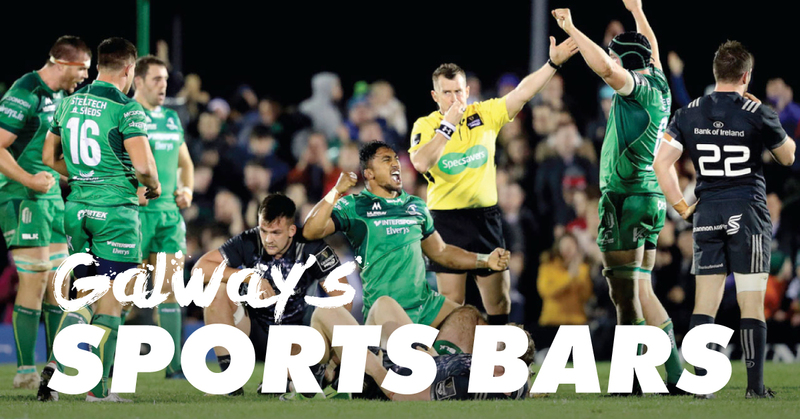 Whether it’s footy, GAA, or a rugby match, you be sure that Galway’s pubs will be teaming with overexcited sports fans, plenty of big screens and amazing food to keep you going. 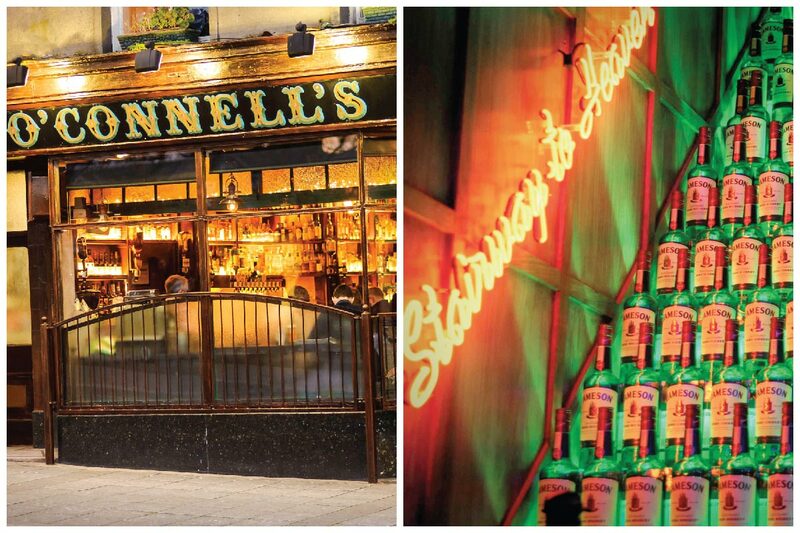 For the best places to sit back with a pint or jump around like a lunatic, read on. One of the best places to pull up a high stool for a match in Galway. 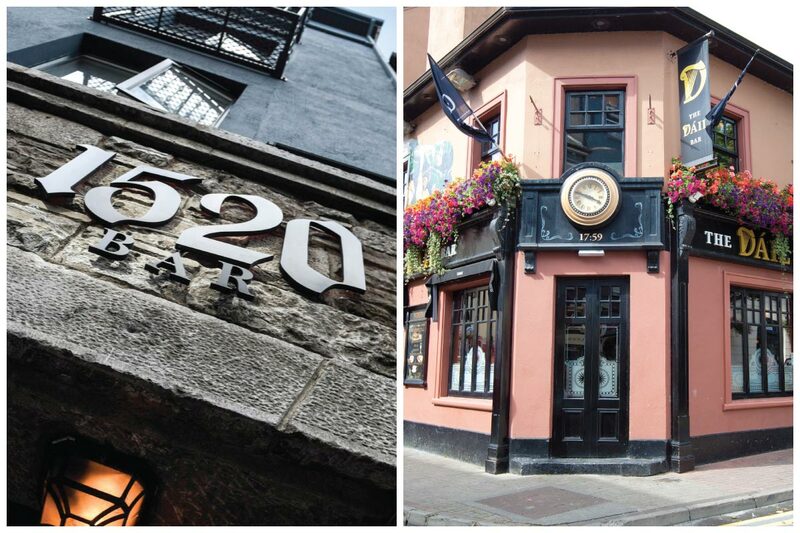 This lively Latin Quarter pub has been a favourite amongst sports fans in Galway for years now. Sit downstairs or upstairs and get great views of the massive screen in the main bar (maybe the biggest in Galway, but we’re not quite sure). The atmosphere is always brilliant and they serve purely tashty food all day… definitely a solid choice on match day! Loads of screens, fabulous food and always a great atmosphere for the games…you’ll find us here most days giving it socks for Galway! Great lunch deals for those early kick offs and DJ’s to follow the night games. Not a late bar but a bar that’s open late! A firmly established Galway institution, Taylor’s Bar reopened to the public last July after a 14 year hiatus. 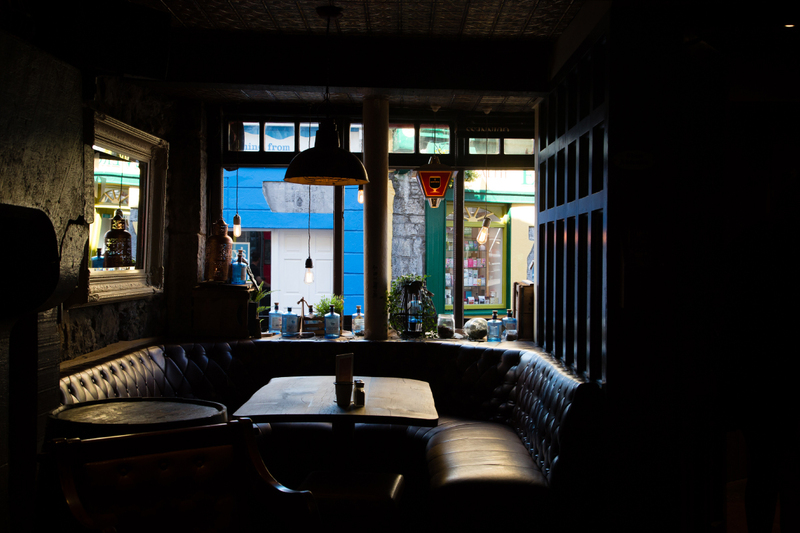 This really is a hidden gem, waiting to be discovered – it has one of Galway’s best beer gardens as well as live sports on seven HD screens including two in the garden where you’ll find the Handsome Burger lads serving up delicious grub most weekends. Not a sports bar per se but the lads will have the games on. If the weather is good then it’s definitely worth popping down here for a watch as the beer garden is now legendary! Great Gins, Whiskeys and pints and Galway’s favourite pizza being served up by The Dough Bros every weekend. Always a great spot for watching any sport! Big screens, small screens, they even have screens out in their brand new beer garden! Especially a great spot for the later games and you can celebrate (or drown your sorrows) til late. TV’s are absolutely everywhere in McGettigan’s so wherever you’re sitting you’re not going to miss a bit of the action. They usually have massive screens upstairs too and all manner of great food and drink deals so keep a look out for the great offers. One of Galway’s newest bars will be showing the games on 4 big screens. 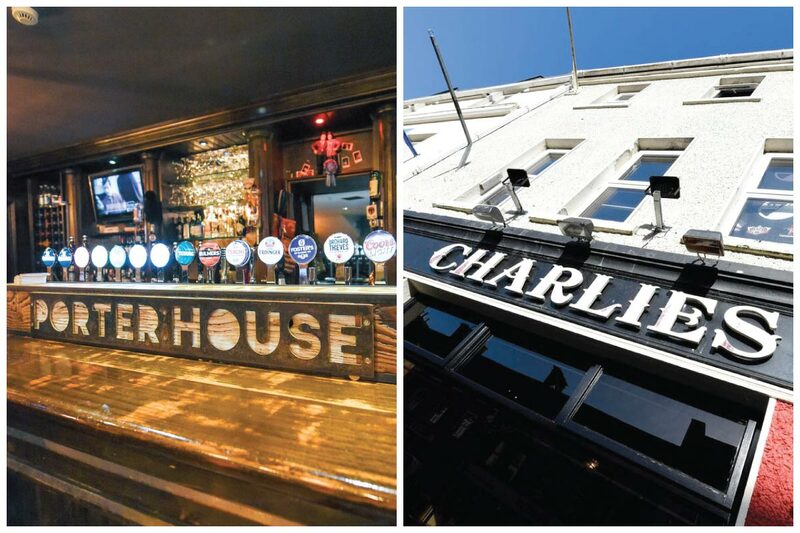 Expect great pub food, everything from nachos to burgers and of course lots of tasty pints. They’ll be cheering right alongside you. The Latin Quarter’s newest bar and one of it’s busiest. Louder than a million Vuvuzelas this place will be bustling with both locals and tourists alike, each cheering on their nation. Expect lots of banter and lovely pints. One of the Latin Quarter’s great spots for sport. 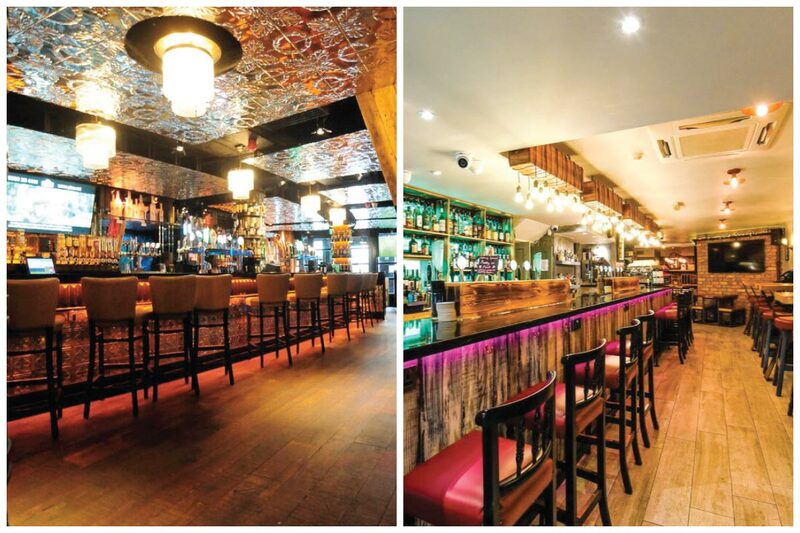 Pull up a high stool or crowd into a booth with your mates for some great food and cold pints. Enjoy the game downstairs, before heading upstairs to the brilliant Liquor Lounge for a cocktail or ten in the garden! Lots of screens, great food and cocktails to be had at Busker’s. For big matches, sometimes they even break out the big projector screen upstairs and that’s always a bit of craic! They have two bars on the ground level and plenty of places to grab a good view. 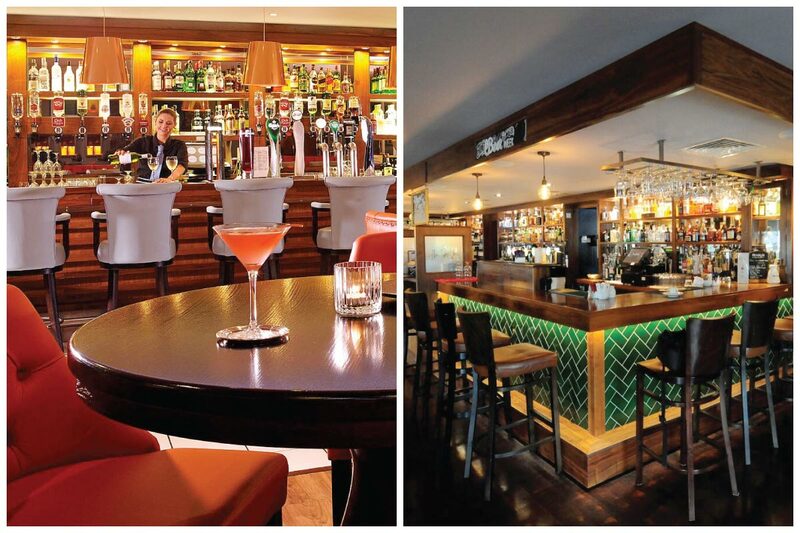 Escape the crowds and head to the Porterhouse in the village of Oranmore. Amazing cocktails, some great pub food and burgers, and loads of screens make it a perfect place to spend the afternoon and cheer your team to victory. Stay on afterward for some live music if you fancy. This Loughrea bar is a sports pub right down to the ground and you know they’re going mental for the GAA. They’ve just added a second 55″ HD TV to their beer garden and have loads more inside, plus a 100″ screen and super high quality surround sound. This is serious match-watching! Delicious pizza and free parking makes this the perfect place to bring the whole family and watch the match! Tons of room to spread out and lots of TVs to watch from – it’s as cosy as watching from your home, except pizza and no washing up! Their dedicated sports bar has two large TV screens and is connected to their sunroom and BBQ area, if you need to go outside and take a lap while watching. They’ve got great craft beer on tap, delicious pub food, parking, and pretty much everything you need for a great weekend!